Devi Mahagauri gives you all blessings and boons that you seek for material gains, so that you become content from within and move forward in life. 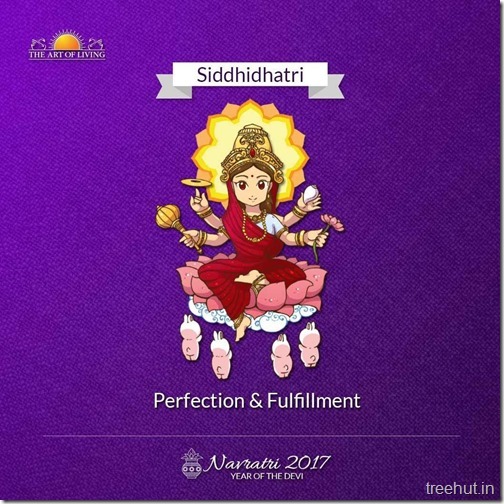 Siddhidhatri form of the Mother Divine blesses you with Siddhis (extraordinary capabilities) so that you do everything with perfection. What does Siddhi mean? Siddhi means that you get what you need even before the desire for it arises. You need not even work or act to attain something. At the mere thought of it you are able to attain what you desire, without having to struggle or make efforts for it. This is what is meant by Siddhi. Whatever you say becomes the truth and manifests, and is for the benefit of everyone around. Whatever work you take up gets completed to perfection. This is Siddhi. Siddhi brings fulfilment and totality in every sphere of life. 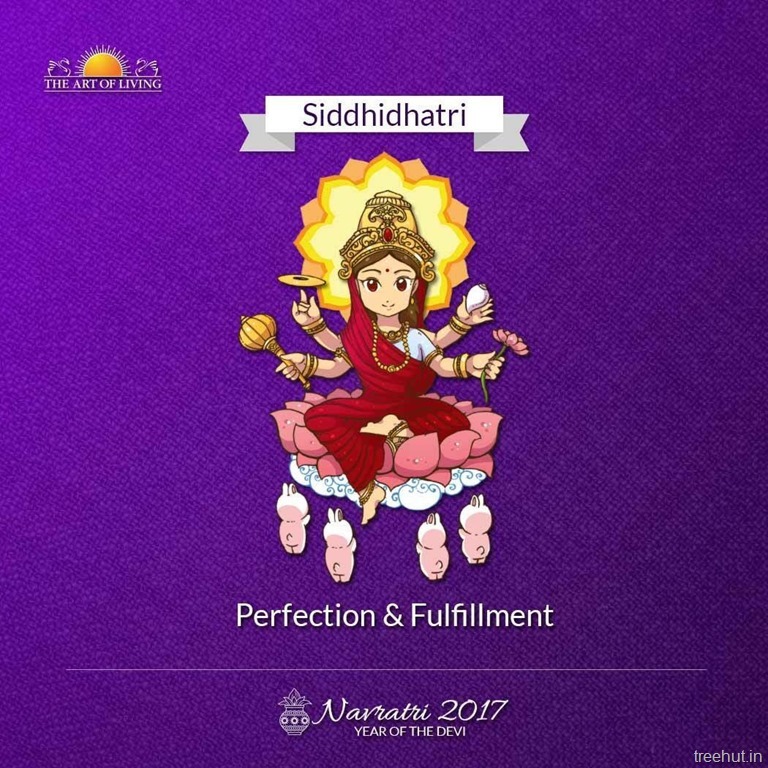 This is the significance of Devi Siddhidhatri.